Great—You Made a Corporate Video. Now What? If you’re a regular reader of our MZ Blogs you know we’re big fans of video for marketing and promotional purposes. We believe in the power of video to tell a story that’s compelling, easy to understand and engages customers and prospects. So now what? You’ve made a corporate video. Here are eight ideas to effectively promote and utilize your video. The first thing you want to do is create a YouTube account for your company. This will allow you to post videos on YouTube and link them to your website. You can also invite customers and prospects to subscribe to your channel so they are automatically notified when you post a new video. It’s easy to create a company YouTube, be sure to add your logo and other brand information to extending the brand look and feel. Once you have your YouTube channel, add a link to it from your website and include it in your email signature so it can easily be found. All social media platforms allow users to post video, and many encourage it because in 2017 video content will represent 74% of internet traffic. While you may find the live streaming videos useful, remember to post your marketing videos, too. Many people prefer to click on a video for a quick introduction to your product or service as opposed to committing to reading an overview, article, white paper or case study. You should also post the video several times on your various social channels because you never know when people are checking their social streams. Videos can be a great way to capture someone’s attention when walking through a trade show. Video allows you to control how your product is shown, how it’s described—and the graphics, motion, typeface and visuals all encourage people to stop at your booth. Display videos on larger screens (at least 55") so it’s easily visible from a distance. Also consider subtitling, if the story isn’t easily understood without description. It may seem obvious, but remember to post the video to your website. You can create a special place on the homepage that features videos on a rotating basis, or perhaps you make the videos part of your blogs or post specific videos to product pages. Just remember to link the videos from your YouTube channel, which is your host. Invite website visitors to watch the videos, and include important information such as length of video (“watch our two-minute factory tour”) so users know what to expect, making them more likely to click through. If you’re like many companies, you struggle to find employees at all levels. Using videos to reach millions, attract the kind of employees you are seeking and capture your company’s culture can be very effective. Push recruiting videos out prior to and during job fairs. These videos will give prospective employees a good understanding of what you do and how you do it. Post videos with job opening announcements on social media to encourage people to learn more about your company. Make sure your investors know all the great things your company is doing by sharing your videos. 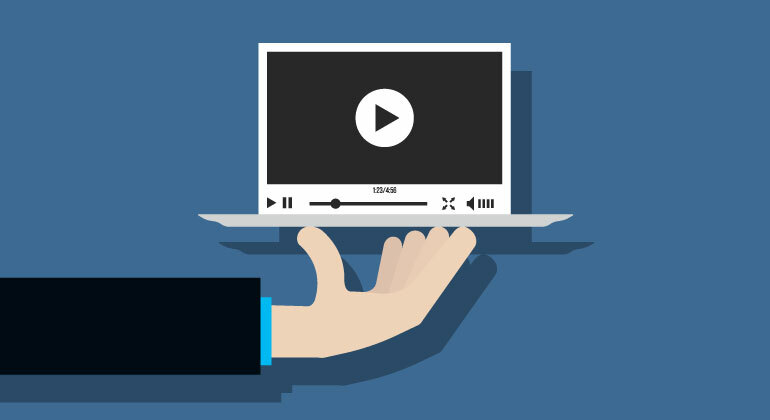 Post videos separately to the investor section of your website, if you have one. If you’re a smaller company send emails to your investors with links to your videos, including social sharing icons for investors to utilize with their networks. Your investors will become your biggest cheerleaders if you give them the proper tools. Maybe you just made a great video that clearly explains a problem your company is solving, or clearly illustrates a complicated industry-related concept. Chances are, media outlets may be interested in using your video as part of an editorial article. Editors realize how popular video is, but they often can’t afford to produce their own videos on a regular basis, so they take advantage of using a well-done corporate marketing video. Don’t let your videos sit on YouTube forever, take a look to determine if there is another way to use them. Can you take a longer video and break into 30 or 45 second chunks to highlight one part of your story? Add a new introduction based on changes or new learning? Perhaps there’s a new product you can edit into an existing video to create new interest. Videos are an important way to market your product or service, and often represent a significant investment. Use these ideas to extend the reach of your videos for maximum ROI.